Incoming COP25 President, Chile, has invited Fiji’s Prime Minister to join them and to help make their climate talks a success. With a focus on; ‘Ambition, Ambition and more Ambition’ to catalyze much needed climate action, PM Bainimarama welcomed the invitation by Chilean COP25 President and Environment Minister, Ms. Carolina Schmidt. “Please be assured that I share your commitment in making COP25 a success. 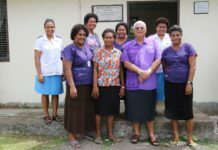 We stand ready to assist in any way we can,” PM Bainimarama assured the Chilean COP25 President. The COP25 President also thanked Fiji for its successful Presidency of COP23 and for the important role Fiji played in pressing for deeper emissions and finance ambition through the Talanoa Dialogue process. “I see Fiji as playing an important role in urging all countries to step up practical action towards the successful implementation of the Paris Agreement,” COP25 President Carolina Schmidt said. The two leaders also spoke about raising the profile of oceans in the climate change negotiations space and have agreed to focus strong attention in bringing the issue of oceans in to the climate action agenda. This year’s annual COP25 climate change talks will take place from December 2 – 13, 2019 in Santiago, Chile. It follows on the back of the United Nations Secretary General’s Climate Summit in September with a focus on ratcheting up urgent ambition. COP25 will be the last UN climate conference before the Paris Agreement enters into force in 2020. 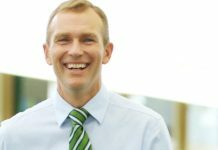 It represents an important opportunity for states and businesses to lock in the energy and the solutions to help avert the impacts of runaway climate change. 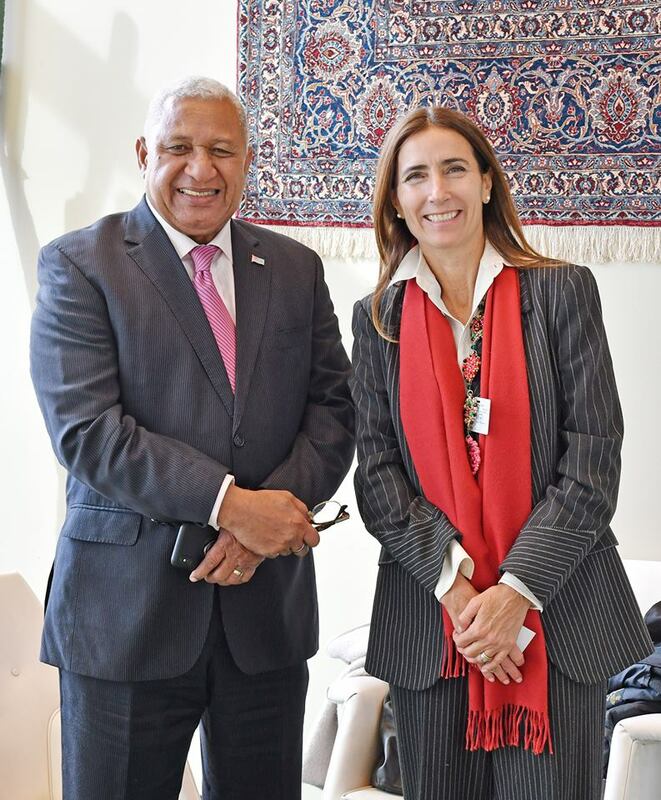 Prime Minister Bainimarama held bilateral talks with incoming Chilean COP25 President Ms. Schmidt in New York this week at the margins of a High Level Climate Summit preparatory meeting.